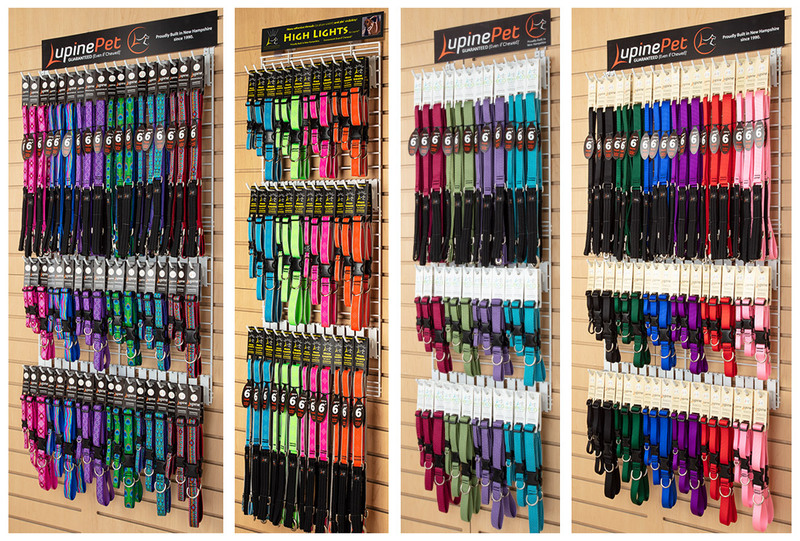 We offer collar and leash displays starting as small as 4 designs or colors on a 16" wide panel. Panels can be used on slatwall, pegboard or hung directly on drywall. Product hooks and a header are also included. Choose the collection and the colors, or ask us for suggestions. Displays are 30% off regular wholesale pricing!